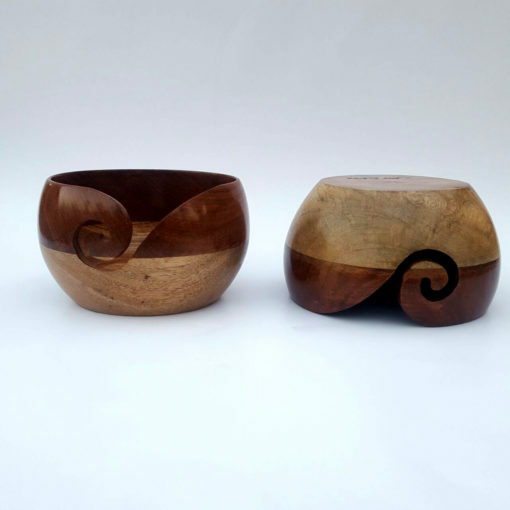 Mango+Sheesham wood Yarn Bowl Holder is made in India and has been expertly handcrafted out of Indian Rosewood (also known as Sheesham Wood), a sustainable wood. This Beautiful mango sheesham wood yarn bowl holder is made in India and has been expertly handcrafted out of Indian Rosewood (also known as Sheesham Wood), a sustainable wood. Place your yarn in this beautifully handcrafted mango sheesham wood yarn bowl holder and keep it from running away. 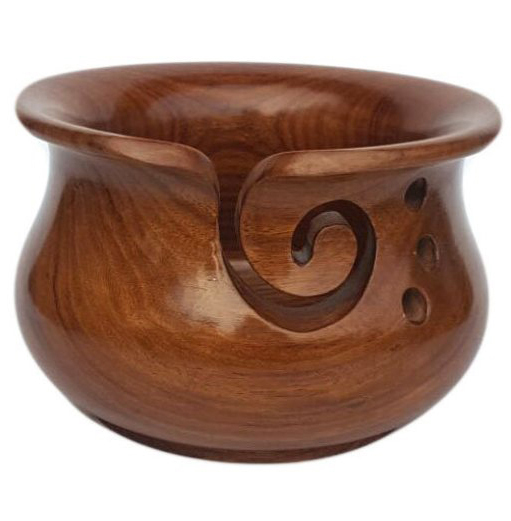 The Rosewood is heavy enough to help keep this yarn bowl from slipping on surfaces, but light enough to take with you when you’re on the go. 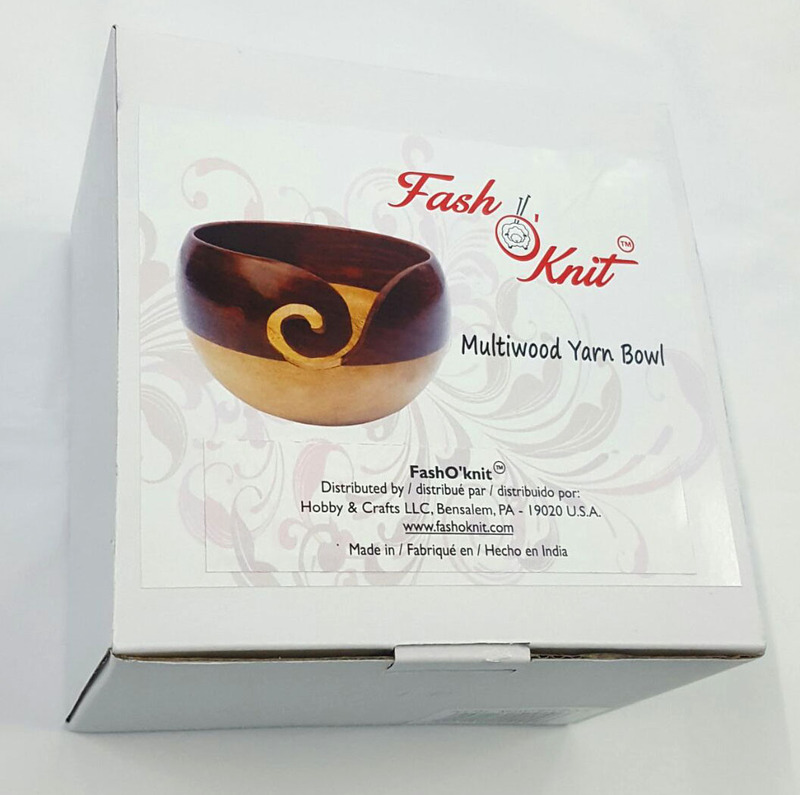 This wooden yarn bowl will help keep your yarn clean, in place AND will help you have great yarn tension as you crochet or knit your projects. The deep cut spiral helps to keep yarn in place as you work. Each yarn bowl is original and unique. Sustainable: The smooth high gloss finish ensures yarn will pull smoothly and evenly through the hole without catching. It will keep the yarn clean and tangle-free, holds them steady while you knit. Practical: The bowl features a curled slot that captures the yarn as you knit or crochet. It allows yarn to be steadily fed through the slot in the side while preventing tangles. 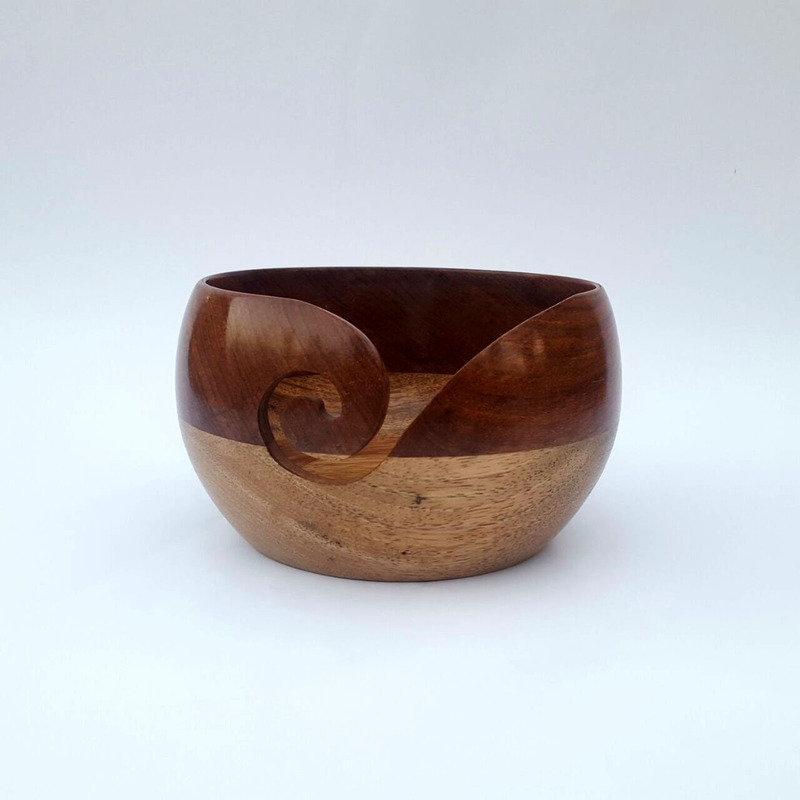 The bowl also has two holes which are perfect for storing your knitting needles when you are not working. It makes your knitting experience wonderful and hassle free. Each piece is handcrafted separately. 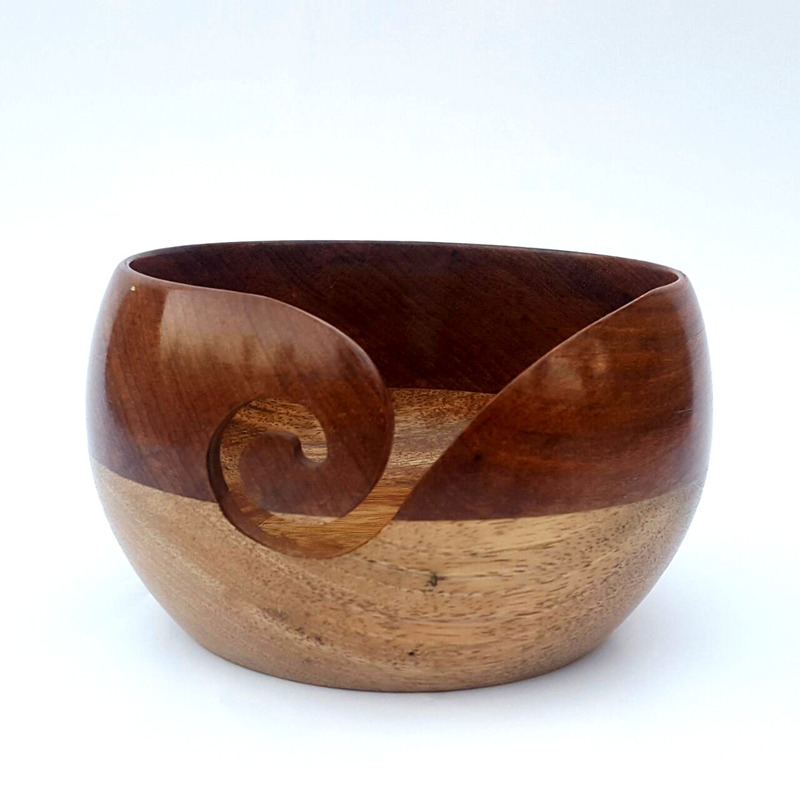 For soothing effect to eyes all bowl are in natural finish.